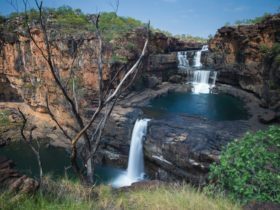 The Mitchell Plateau is a true wilderness adventure rewarding you with jaw-dropping panoramas of wild escarpments, tropical rainforests and the thundering four-tiered falls known as Mitchell Falls. 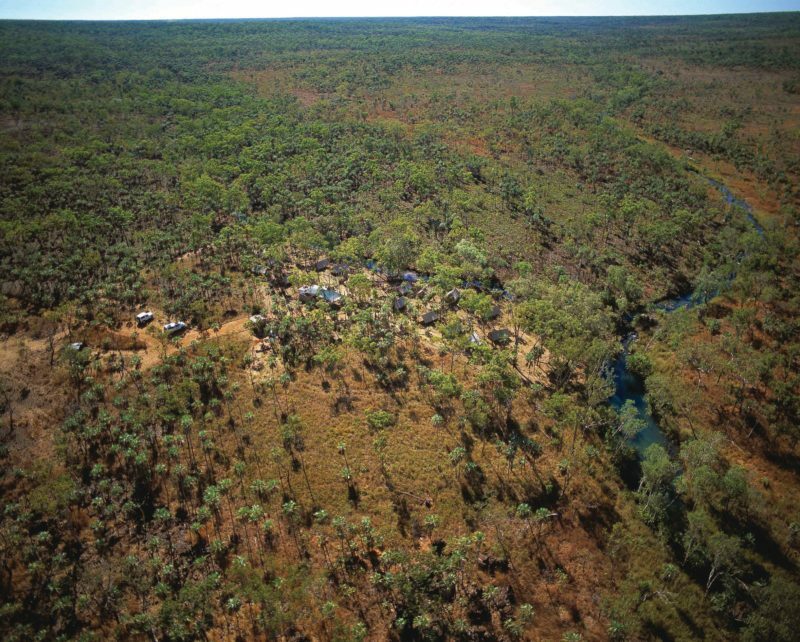 If you’re seeking a 4WD challenge, take a detour off the Gibb River Road on Kalumburu Road heading north to Drysdale River Station and the Mitchell Plateau (dry season only). 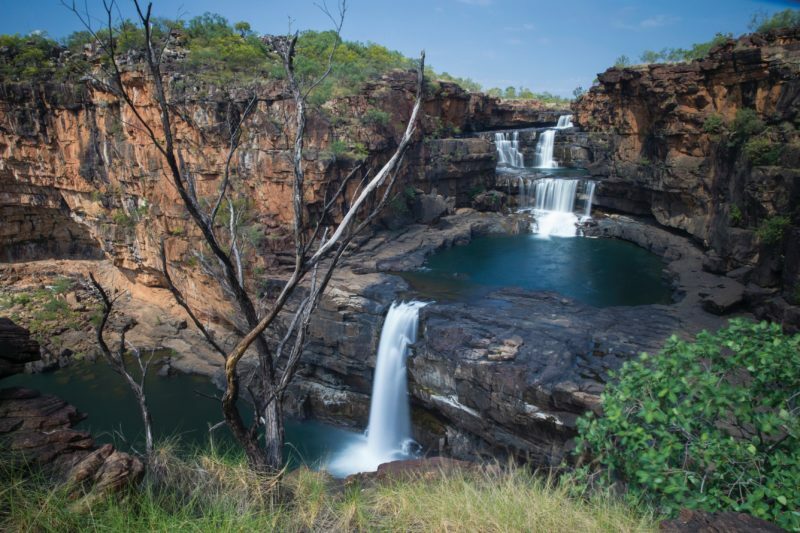 Mitchell Falls can be reached via the Mitchell Plateau track and a six-kilometre hike from the camping area. You can also opt to extend your adventure, following the trail to Little Mertens Falls and Big Mertens Falls. 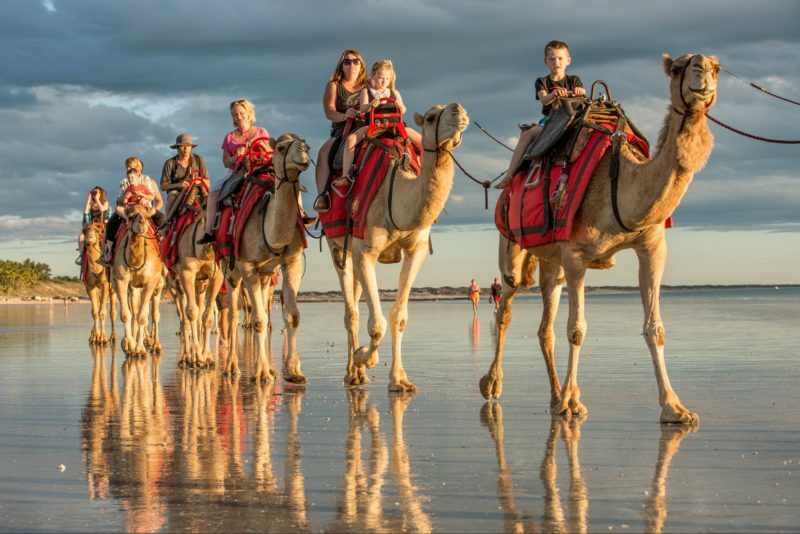 If you’d rather let someone else do the driving, join a guided 4WD tour. Or, for a quicker and easier route, take a scenic flight from Kununurra, Broome or the Mitchell Falls Campground. 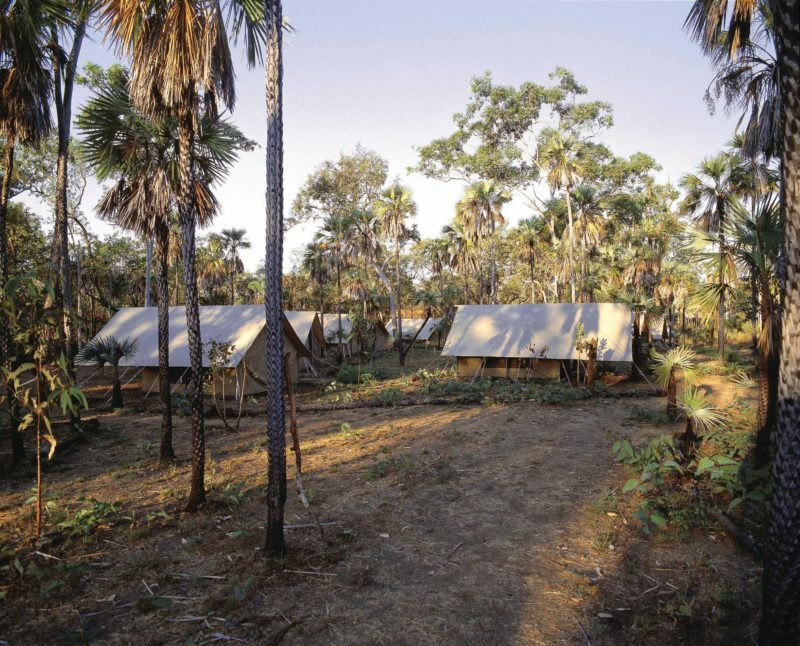 Scenic flights run year round and often touch down, giving you the opportunity to hike the trail, enjoy a refreshing swim and explore the forests that support an incredible variety of mammal, bird and reptile species. A guided tour may also give you a rare view of the Gyorn Gyorn Paintings (also known as the Bradshaws). 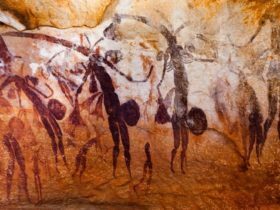 They’re believed to be 60,000 years old – among the earliest figurative paintings ever made.